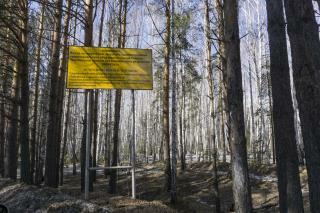 (Newser) – In the country's first acknowledgement of a radioactive cloud over Europe, Russia's meteorological service has confirmed "extremely high" concentrations of ruthenium 106 in the country last month. Rosgidromet said Monday that the radioactive isotope formed in nuclear reactors was detected at monitoring stations in Argayash and Novogorny between Sept. 25 and Oct. 1, before reaching Tatarstan, more than 500 miles west, reports the AFP. Ruthenium 106 was eventually detected as far away as Denmark, Spain, and Cyprus, reports NPR. Though Rosgidromet doesn't identify the source of the isotope, it notes that Argayash, in the southern the Ural Mountains, had "extremely high pollution" at 986 times the natural background level. Why are we trying to recreate the cold war? We have had many agreements with the Russians since being allies in world war two. Not just in trade practices that benefit big business but also many in the sciences and agriculture. Multi national health and research ventures like the very successful space programs. The ongoing and more recent "international space-station" and other peace time ventures all helping to keep our peace ongoing. I do agree with Trump on this issue. (Businessman, not your conventional/ professional politician) "Make business, not war"! The "War Machine" and their lobby seem to be trying to get us into another very costly "Cold War" with Russia. Another Chernobyl. They tried to hide that, too. They did not "confirm" anything. There is no need to confirm or deny accusations of silly newsmakers.